Welcome to the home of “Pinney Bears”! We would like to introduce you to our designer and creator Margaret Jackson; we call her Meg for short. When Meg was a little cub, her parents gave her a Teddy Bear for her third Christmas. It was love at first Hug! From that day forward Meg had a special love in her heart for all bears, starting a collection that fills the “Bear Room” in her home in North Carolina. 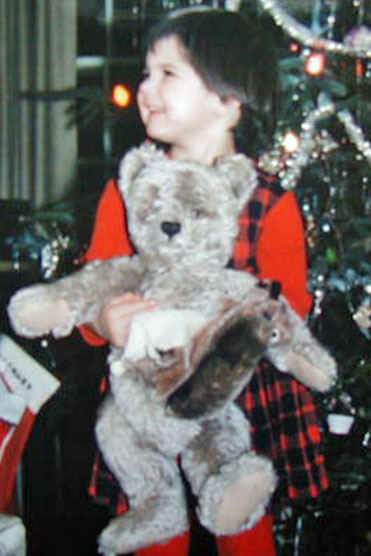 Somewhere in her past while moving, Meg’s teddy bear “Pinney” was put into storage and later was sold at auction without Meg’s knowledge. Meg searched for “Pinney” for so many years, to no avail. She has so much love for “Pinney” she decided to remember her spirit by creating and making her own “Pinney Bears”. So many of us have been created through the love of Meg’s hands, she decided to share her love of “Pinney” through adoption. We are all hand designed and sewn in Mohair, Alpaca & Japanese Silk. We come in many different colors and sizes. We are fully jointed and are filled with a combination of excelsior, polyfill, cedar chips, steel shot or glass beads. We are all one of a kind with our own wonderful personalities and plenty of love to give. If you are interested in adopting one of us please contact Meg for more information on adoptions. A little about me… I love Bears! I make them and collect them. 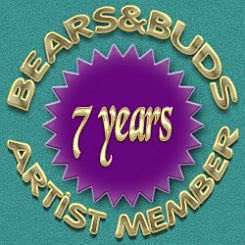 I have been a Teddy Bear Artist for 10 years and a collector for most of my life. I make most of my bears using mohair although I sometimes make them with Alpaca or Japanese silk. They are all 5 way jointed, have German glass eyes and a needle felted nose. I love colored mohair so you will often see a pink, purple or green bear and since I also dabble in jewelry making, the bears often will have collars made from Jewelry. Visit Meg's profile on Pinterest.